It really depends on where you are starting that will determine the complexity of methods needed to drop some fat. For the most part, simply making permanent changes to your metabolism by means of putting on lean muscle mass and eating a caloric restricted diet are the ways to go. One of the hardest things most people find, or will find, when trying to lose fat, is in fighting the initial hunger pangs and cravings that come when modifying your diet. The ideal way to help avoid this is to take smaller steps, make one habit and behaviour change at a time. I am also a realist and know that this is not often the way people go about things. To help those of you who are adamant about jumping the gun, I have compiled a short list of some foods that will help you to maintain energy and that will fill you up without filling you out. I am not big on having to label everything and these are just a few things to add/modify in your plan. I just know that this has helped others like you who think or know that you can handle more changes at once.Add these while dropping the hyperpalatible sugary foods and ease your way to fat loss. Fill you up food 1: Flax Meal. Slowly adding flax meal sprinkled onto your meals (start with 1 tsp per day for a week and slowly progress to 2-3) will help to stave off hunger. 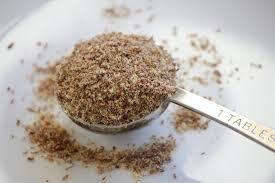 Flax meal is a great source of soluble and insoluble fiber. This means that you will not only feel full, you will be regular too. The more regular you are, the better your gut health and fat loss capabilities (1). Fill you up food 2: Eggs, Chicken, Fish. You are not limited to these three high protein sources but foods such as these are very satiating as well as energizing (2,3). High protein foods also help to stimulate your metabolism more than any other macronutrient as well as help to stimulate your mind. The more energy you have, the more likely you are to move which means greater fat loss. 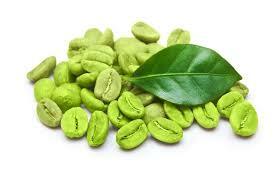 Fill you up food 3: Green coffee beans. Ok so this isn’t exactly a food per se, but apparently adding some green coffee bean extract (broken up into two and 3 servings from Applied Food Sciences brand 700-1050 mg) to your days might act as an appetite suppressant (4). Fill you up food 4: Water. Again, this is not quite a food but I digress as it is still something you consume that provides value and fullness (plus it IS my blog and I will do want I want to lol). Good ole water is one of THE best fillers and energizers when trying to lose fat without suffering :p. Water helps give your foods the bulk, it helps to regulate metabolic processes to allow for fat loss, energy and general health to occur and best of all, it provides 0 calories. There is not magic pill or protocol. Every body, situation, need and so forth might be different but adding these four simple fill you up”foods” to your plan will initiate your progress faster than any extreme method ever will. It is harder to overindulge when you consume these substances.This makes fat loss just that much easier so go ahead and fill up without having to worry about filling out! 1. Santacruz, A., Marcos, A., Wärnberg, J., Martí, A., Martin‐Matillas, M., Campoy, C., … & Sanz, Y. (2009). Interplay between weight loss and gut microbiota composition in overweight adolescents. Obesity, 17(10), 1906-1915. 2. Parker, B., Noakes, M., Luscombe, N., & Clifton, P. (2002). Effect of a high-protein, high–monounsaturated fat weight loss diet on glycemic control and lipid levels in type 2 diabetes. Diabetes Care, 25(3), 425-430. 3. Halton, T. L., & Hu, F. B. (2004). 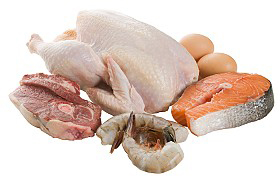 The effects of high protein diets on thermogenesis, satiety and weight loss: a critical review. Journal of the American College of Nutrition, 23(5), 373-385. 4. Vinson, J. A., Burnham, B. R., & Nagendran, M. V. (2012). Randomized, double-blind, placebo-controlled, linear dose, crossover study to evaluate the efficacy and safety of a green coffee bean extract in overweight subjects.Diabetes, metabolic syndrome and obesity: targets and therapy, 5, 21. Great minds think alike I suppose 😉 flax seed and meal are awesome for their own reasons. You may already know this but just in case (or if anyone else wondered) the seeds provide the insoluble fiber but if not chewed, you can miss the omega 3’s. A combo (or chewing very well lol) is ideal. thank you!